An easy, foolproof, recipe for brunch or a tapas style canapé. If you have the patience, let it cool down so it becomes lovely and moist. It kept Big G happy this morning as a breakfast alternative but the danger is you’ll spend the rest of the day going back to it, taking off little slices. Before you know it, you’re left with a plate of crumbs. Use any combination of vegetables, cheeses and herbs to vary your dish. Pea and mint is beautiful, goats cheese works well… as long as you have the potato and egg base you can throw in anything. 1. put a glug of olive oil in the pan. 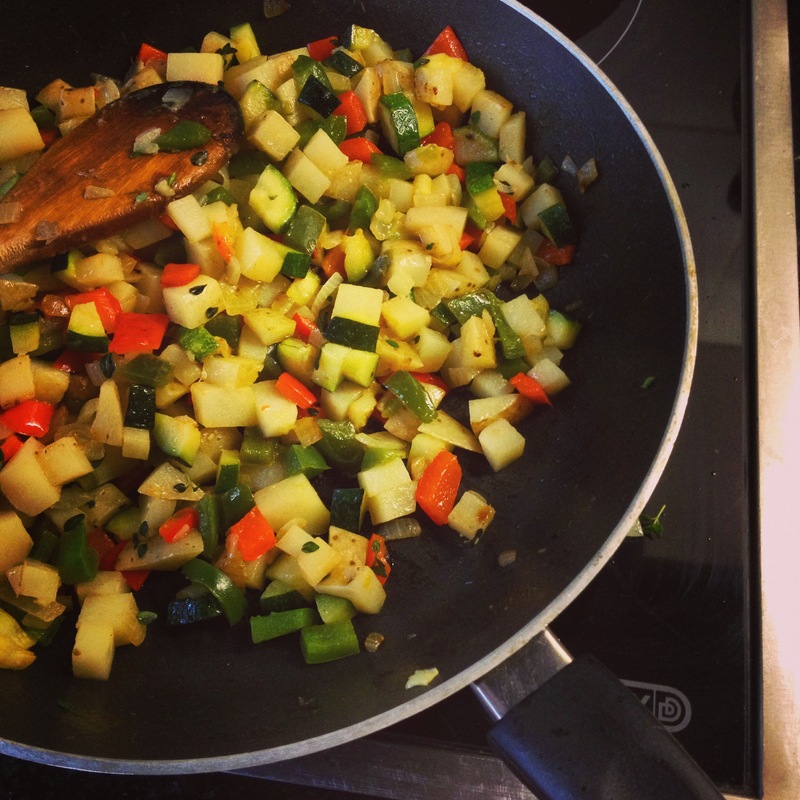 2. dice the potatoes, peppers, courgette (zucchini) and onion and place in a pan. 2. cook gently until vegetables are soft (10-15 mins). 4. during the last 5 mins of cooking, add the fresh thyme leaves. 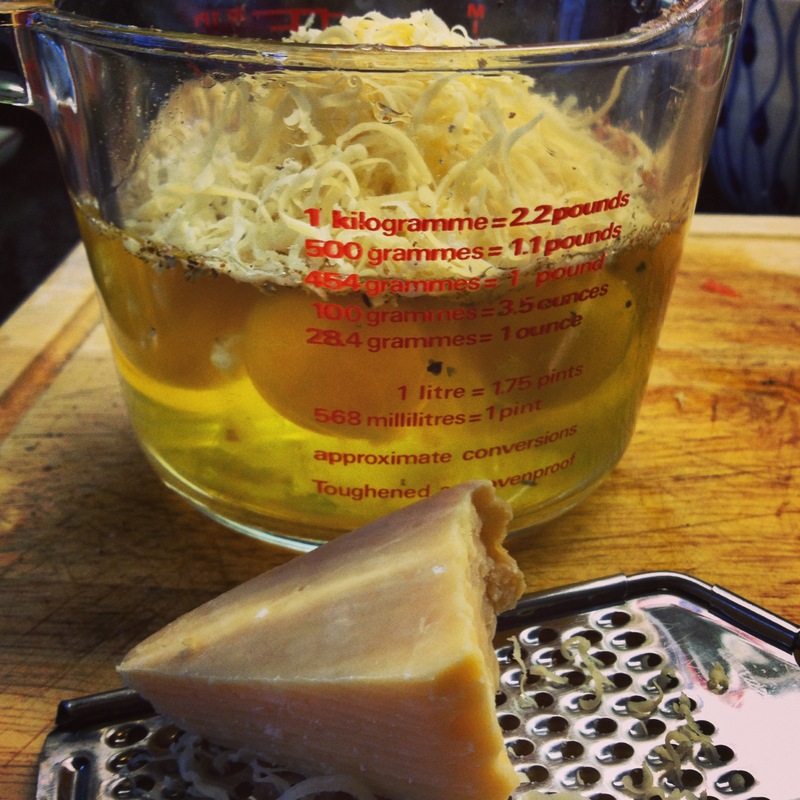 5. while the vegetables are cooking put the eggs, parmesan, nutmeg, salt and pepper into a bowl and whisk together. 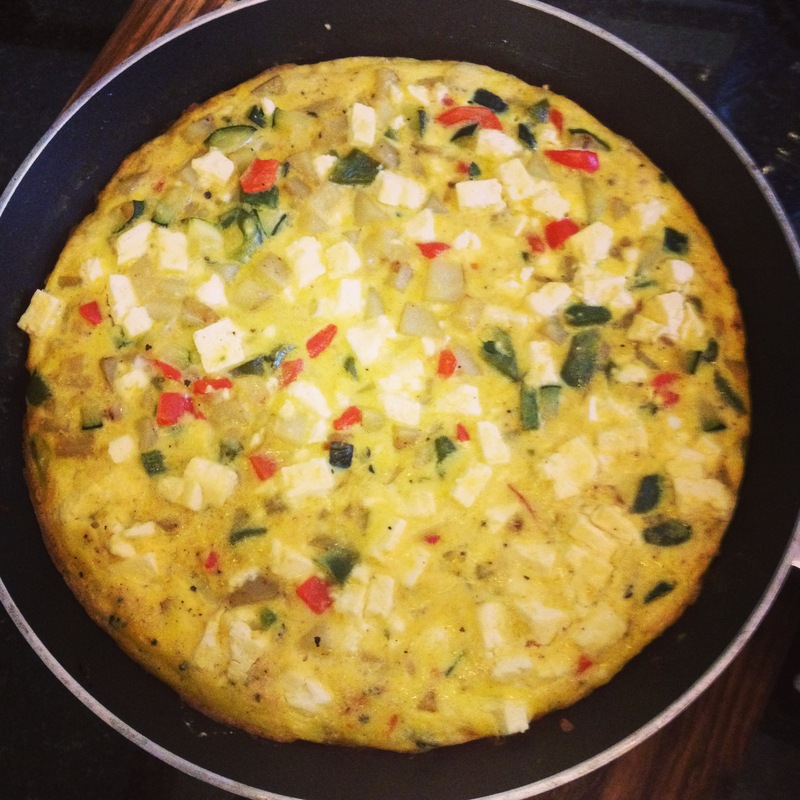 6. when the vegetables are soft and cooked, pour the egg mixture into the pan and give it a quick stir. 7. scatter the crumbled feta over the top. 8. cook on a low heat for about 10 mins and then place the pan in the oven until the frittata is set, maybe another 10 mins. 9. once cooked, turn the frittata out onto a plate/board and cut into slices/triangles (or squares if you’re serving as a tapas/nibble). Sent from my phone so apologies for brevity.